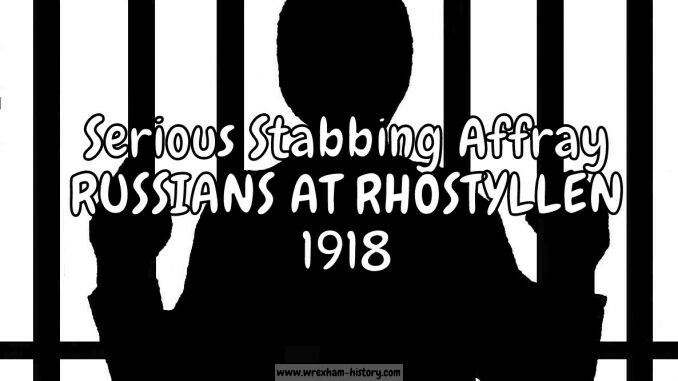 A sensational stabbing affray took place at Rhostyllen, near Wrexham on Saturday November 16, 1918, six men were very seriously injured as the result of knife wounds and two of them, one a native of Rhostyllen and the other a Russian, being in a very serious condition on Monday night (18th). It appeared that there were about 30 torpedoed Russian seamen stationed in a special camp at Plas Power, under the control of the Board of Trade for timber purposes. A party of these men visited Wrexham and created a disturbance. 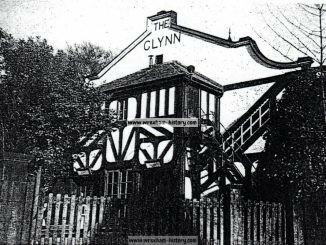 Five of them, who were under the influence of drink, were persuaded by Inspector Rees, to board a tram car and return to Rhostyllen. Later, the police were summoned by telephone to Rhostyllen, when Inspector Rees and several special constables arrived there by motor they found Benjamin Lloyd, Rhys Lloyd, Richard Edward Griffiths and Charles Morgan of Rhostyllen were all suffering from serious knife wounds. They were being treated by Dr. D. J. Williams. Blood was flowing freely and it was evident that they had been badly injured. Two of the Russians had previously, been taken to Wrexham Infirmary. At Wrexham County Police Court, on Monday November 18, before Mr. W. B. Phillips, three Russians Paul Goldberg, Elmar Ilves and Wasil Korechki were charged with causing grievous bodily harm and remanded for eight days. At Wrexham County Police Court, before Mr. W. J. Russell, Sir. T. Jones, and the Mayor (Councillor Rowland), Paul Goldberg (28), Elmar Ilves (29), Wasil Korechki (24), Jacob Merents (22), and Arseny Kallas (21), were charged with wounding Benjamin Lloyd, Rhys Lloyd, Arthur Edward Griffiths, and Charles Morgan, all Rhostyllen. Mr. Wynn Evans was for the prosecution and Mr. Hopley Piece defended. Frank Lloyd, 4, Bowers Road, Acrefair, collier, said on November 16, the five defendants came in the Green Man Inn, Charles Street and made a noise while two soldiers were singing. Witness got up and called for order, whereupon Merents struck him just above the forehead. Before the blow was struck Merents had hand in his pocket. He bled freely and was partly unconscious. Defendants were then turned out. Witness went home on the Johnstown tram. He saw the defendants alight from the same tram at Rhostyllen. Joseph Lloyd, Plasmadoc Cottage, Acrefair, collier, brother of last witness, gave corroborative evidence. Whilst on the tramcar Merents took hold of him by the hair and dragged him on to the step. The defendants tried to get back on to the car to attack his brother and himself, but were prevented by the crowd. Merents had tried to smash him with a four-legged chair in the Green Man Inn, but was stopped by customers. William Williams, of 7, Plas Bennion, Ruabon, collier (who was at the Green Man on the night in question), Mrs. Mary Elizabeth Pugh, 146, Ruabon Road, Rhostyllen. Rhys Lloyd, collier, 36, Ruabon Road, Rhostyllen Road. Edward Griffiths 144, Ruabon Road, Rhostyllen. Benjamin Lloyd, Plas Gross Farm, Rhostyllen. 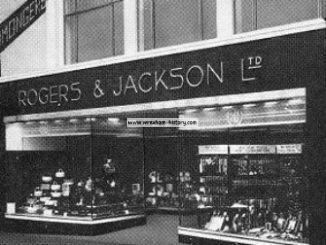 Charles Morgan 95, Church Street, Rhostyllen collier. Edward Griffiths (jnr) 108, Ruabon Road, Rhostyllen, colliery engine driver, and Robert Morris, Church Street, Rhostyllen collier, gave evidence as to the fighting on the car. Benjamin Lloyd had three clean incised wounds on the scalp inflicted with a blunt instrument on a bony surface, and in his opinion, were caused by a blunt instrument, such as a knuckle duster. The injuries were serious. Rhys Lloyd had a clean stab in the left arm, severing a branch of the brachial artery, with great loss of blood. He also had a clean stab right through the right hand. Both wounds were caused by a knife. Lloyd was still suffering from paresis of the muscles of the left arm. There was also a bruise on the head, which might have been caused by a fall. Charles Morgan was suffering from a severe deep incision in the groin, caused by a very sharp knife, severing a branch of an important artery. There was a clean stab in the right arm and a clean cut on the left hand. He had to put in deep stitches to stop the bleeding. Richard Edward Griffiths had a clean cut right into the orbit of the left eye, an inch broad and 1 ½ inches deep, just missing the eyeball. There were four stabs over the left shoulder about an inch and a half deep. The man was still under his care. The men had now recovered, but in the case of the eye injury he feared possible future consequences. All the men were perfectly sober. Inspector Jones-Rees said he saw three foreigners coming down Town Hill arm in arm. They were under the influence of drink and were noisy. He persuaded, them to board the car and go home. To the best of his belief they were Goldberg, Ilves and Korechki. Subsequently, he received a telephone message and proceeded to Rhostyllen with six special constables. The place was then quiet. He saw many men being treated by Dr. Williams. Later, he saw Goldberg and, Ilves in Church Street and arrested them. He examined their hands but saw no signs of blood. Goldberg said he had lost his overcoat and subsequently a woman handed him a coat. He brought the two defendants to the County Buildings and charged them with wounding four Rhostyllen men with intent to do grievous bodily harm. Those four men were well conducted and respectable. On being searched, defendants had money and tram tickets in their possession, but no knives. On November 19, he found a stick at the corner of the field adjoining Church Street and Ruabon Road, Rhostyllen. It was eighteen inches long and had a large knob at the end of it. Sergeant Henry Jones spoke to Kohechka. For the defence Mrs. Alice Ellen Jones wife of Daniel Jones 30, Hill Street, Rhostyllen, said that oh the night in, question she returned home from Wrexham about 9 o’clock by the tram-car. She sat on top, and the five defendants were also there. All went well until they reached Trinity, when someone challenged the Russians to come down and fight. One of them answered “No, no next stop if you want to fight” On trying to get off at Church Street they were wedged on the stairs. The conductress was screaming. She saw a man take hold of a Russian by the throat, and the Russian had hold of his assailant by the hair. There, was a crowd about, so much so that many people could not alight and were carried some distance. Some of the Russians from the camp, others than the defendants, had lodged with her. Three of the defendants had been visiting their friends at her house. She always found them well behaved. Ilves and Goldberg told her they had not been in any bother that night and had only come to look for Merents. Mrs. Amy Taylor, 142, Ruab6n-road, Rhostyllen, John Henry. Evans, 3, Hill Street, Rhostyllen, electrician at Bersham Colliery (who said he saw two Russians abused in a terrible manner), James Thomas Hughes, foreman of the Timber Camp, Bersham, and Lewis Turner Lambert, Ash Grove, Llangollen, works officer, timber supply department, Board of Trade, gave corroborative evidence. The magistrates decided to send all the defendants for trial at Denbigh Assizes apart from Ilves who was discharged. The Assizes for the county of Denbigh were held at Ruthin on Friday January 31, Mr. Justice Atkin. Four Russians were charged on various counts with being concerned in an affray at Rhostyllen, Wrexham, in which knives were used. Paul Goldberg (20), Wasil Korechki (24), Jacob Merents (22), and Arseny Kallas (21) were charged with feloniously wounding on November 16, Benjamin Lloyd Rhys Lloyd, Richard Edward Griffiths, and Charles Morgan; also with maliciously wounding and unlawfully assaulting the four men. Mr. Artemus Jones prosecuted on behalf of the Crown, instructed by Mr. Wynne Evans, Wrexham, and Mr. Trevor Lloyd defended, instructed by Hopley, Pierce and Bird. Mr. Artemus Jones said the Russians were respectable workmen engaged in a timber cutting camp at Rhostyllen. On Saturday, November 16, the accused went to Wrexham and at night were in a public house called the Green Man in Charles Street. There was a row in the singing room. Some colliers wanted to sing and the Russians were making a noise. Order was called for and a little later they were turned out. 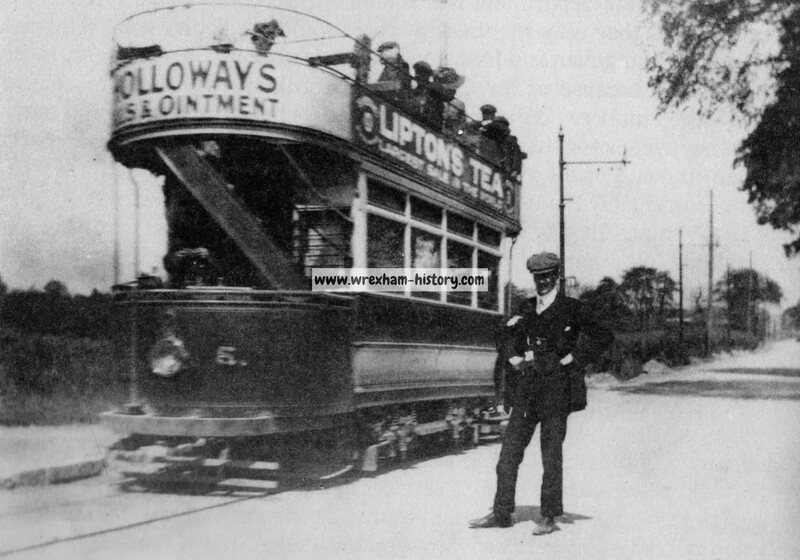 They proceeded on the top of an electric tram car from Wrexham to Rhostyllen, while two of the men with whom they had had a row in the Green Man travelled on the platform of the car. At Rhostyllen a dispute sprang up between the accused and some colliers. Undoubtedly the former were under the influence of drink and the jury would probably come to the conclusion that some of the witnesses for the Crown were in a similar condition. Rhys Lloyd was in his house at Rhostyllen, near where the car stopped and hearing a noise he went towards the place where the row was going on. Two men were running down the street; they dashed at him and one stabbed him through the left arm and in the right hand. He did not know who the men were, but from their speech he judged that they were foreigners. Griffiths, a collier, was standing outside his house not far away when he heard some disturbance. Going towards the tram car a man struck him on the jaw. He was stabbed near the eye and on the shoulder by a man, as to whose identity he was un-certain. Benjamin Lloyd was a farmer at Bersham. He was at Rhostyllen when the tram car arrived. One of the accused, Merents, had hold by the hair of the head of a man he had met in a public-house. Merents was trying to drag the man off the car platform. Lloyd was threatened by Merents and another, and he defended himself with his stick. Kallas hit him on the head with some sort of weapon. Charles Morgan, who was near the tram car when it stopped, saw Merents trying to pull a man off. Later he saw Merents and Kallas attacking Benjamin Lloyd, to whose assistance he went, whereupon Goldberg ran at him. Morgan was stabbed in the left hand and arm. When the first witness was called, Mr. Artemus Jones was about to examine him when the Judge inquired if counsel was alone in the case and Mr. Artemus replied that he was. “A case of this magnitude and complexity, “the Judge went on, “is a proper case for two counsels. I expect you feel that yourself”. Mr. Artemus Jones: I do, and if your Lordship can assist me by giving some direction. The Judge: I do not know whether there is time for it. If there were time for you to have assistance I think you ought to have it in a case where there are several witnesses and there are four charges of great complexity. I know it is almost impossible for one counsel to examine and cross-examine and take notes to put the case properly before the Court. Have you anyone who can help you? Mr. Artemus Jones said Mr. Austin Jones and Mr. Bircham Long would be able to assist. The Judge then called upon Mr. Austin Jones to co-operate with Mr. Artemus Jones. Many witnesses were then called. Inspector Jones Rees, Wrexham, produced a curious round knobbed stick ornamented with brass work which he found in a field near the scene of the affray. He arrested Kallas at Wrexham Infirmary on his recovery from a serious wound. He had been stabbed near the heart. Merents was also hurt and spent five weeks in the Infirmary. The prisoners were called as witnesses. Goldberg said he was a Russian sailor employed on a British ship. This was torpedoed and he afterwards went to work at Rhostyllen timber camp. He had no part in the melee. Kallas said that Welshmen attacked Merents and himself and they had to run away from superior numbers. Summing up, the Judge said the Russians were challenged and a fight began as soon as the car was stopped, the crowd being as aggressive as the Russians. Knives being undoubtedly used on both sides. The jury found the four prisoners not guilty and they were discharged. Source: Llangollen Advertiser, Denbighshire, Merionethshire and North Wales Journal. 1918-19.